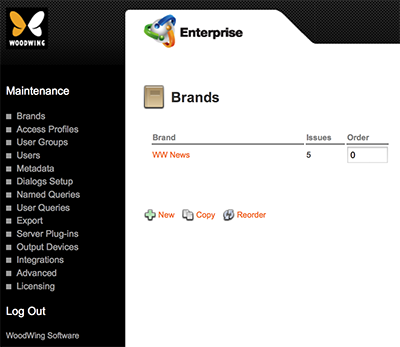 When Editions are created in Enterprise Server, they are initially listed in the order in which they are created. 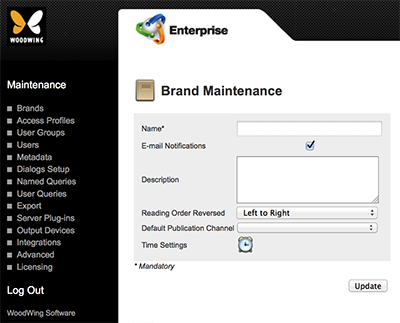 This order is however also used in the client applications such as in the dialog boxes of Content Station or Smart Connection where the user can choose to which Edition a file should be assigned to. 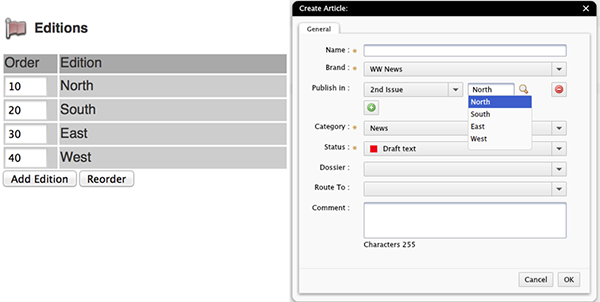 Figure: The order in which Editions are ordered in Enterprise Server (left) has a direct effect on the way Editions are ordered in the client applications (right, here the Create Article dialog box of Content Station). Step 1. 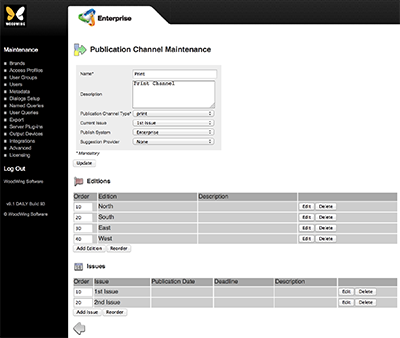 In Enterprise Server, access the Publication Channel Maintenance page in which the Editions need to be reordered. Step 1d. 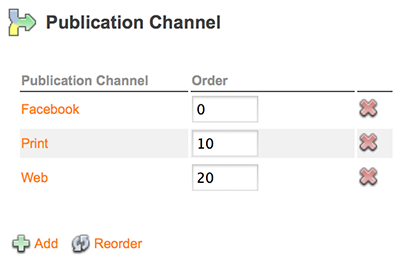 Click the name of the Publication Channel in which the Editions need to be reordered. Step 2. In the Order box for each listed Edition, enter a unique number. Note: The higher the number, the lower the Edition will appear in the list.